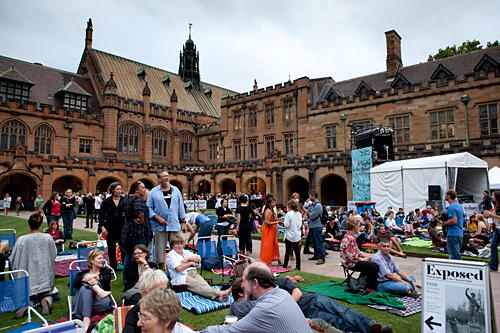 SYDNEY UNIVERSITY management have made an interim pay offer of 4 percent. The offer came through the afternoon before an NTEU members meeting which was planning to discuss possible industrial action unless the University started to negotiate seriously. The offer, to be followed by “a substantial additional offer”, was not accepted by the members meeting. It was conditional on the NTEU agreeing to industrial peace until 1 May next year and would allow the University to drag out negotiations on conditions. Many members were concerned that there was no detail of funding for the offer. With work unit budgets are already stretched. A real pay offer has to be centrally funded from the University’s budget. The money is there but all work units need extra funds. Business Review Weekly recently showed the University had a $96 million surplus last year. The University has now also signalled its desire to reduce job security. Management have tabled a draft modes of employment clause. They want to introduce sessional teaching only staff, sessional teaching support staff and seasonal general staff across the University. They also want to increase the use of casual staff and introduce more fixed term contracts. They propose to replace staff with students paying them 80 per cent only of the lowest general staff pay level. These proposals would overturn all the gains the union has made on staffing conditions and job security in our present agreement. Industrial action will be on the agenda for our next meeting.